This 500-round case of .308 Winchester ammo is an affordable option for many hunting seasons to come with plenty of zero checks in between. 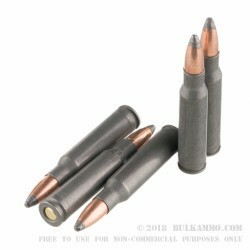 This ammunition comes from Wolf, an American importer that sources their products from countries like Russia and Ukraine, where the factories are accustomed to mass production for military efforts at a low cost. 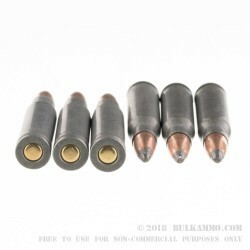 As such, these rounds are assembled using non-reloadable steel casings and clean-igniting Berdan primers.